Hello, I am Dr. Robert Ford, the low brass instructor at Music & Arts. 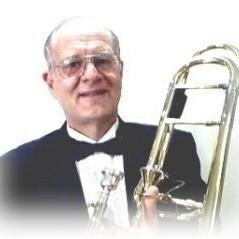 As a trombonist, I perform with the the Lakeside (Ohio) Summer Symphony, and the Eastern Virginia Brass Quintet. Formerly I performed with the Virginia Symphony, Virginia Opera Orchestra, and the Spokane Symphony. I teach Music 121/122 at Tidewater Community College. My former positions include: Classroom music instructor with the Va. Beach Public Schools; Adjunct instructor - low brass instruments - Old Dominion University, Christopher Newport University, and Virginia Wesleyan College. And currently, I am also helping the brass section at Crestwood Middle School in Chesapeake. I earned my B.A. (Music) from Ohio Wesleyan University, my Master of Music from University of Southern California, and my Doctor of Musical Arts from Catholic University of America.